As explained below, Workstorm acts as a data controller in determining the purposes and means of processing data related to the use of this website and of Individual Users (described below). Enterprise Accounts: An organization or company that enters into an agreement with Workstorm for our Services is an “Enterprise Customer” that provides an account for each employee it authorizes to use the Services (“Enterprise User”). If you are using the Services through an account issued to you by an Enterprise Customer, then you have an “Enterprise User Account” and you are an Enterprise User. If you are an Enterprise User, your relationship is with the Enterprise Customer that provided you with your Enterprise User Account. Any Content associated with an Enterprise User Account, or that an Enterprise User creates through the Services, becomes “Enterprise Data” and is owned by the Enterprise Customer. ** If you are an Enterprise User located in the EU or U.K., the Enterprise Customer is the data controller and is responsible for obtaining your consent to data processing carried out by Workstorm. ** You should consult the Enterprise Customer’s policy for information regarding such consent, as well as information about storage, access, modification, retention, use, and deletion of Content and other information that you provide through the Services as an Enterprise User. Enterprise Customers also have the right to control and administer Enterprise User Accounts. Any questions regarding your rights with respect to your Enterprise User Account should be directed to the Enterprise Customer who provided you with your Enterprise User Account. Individual Accounts: Enterprise Users, in turn, can invite someone outside of their company with whom they collaborate for work or business purposes (e.g., contractor, consultant) to create an account. The Enterprise User provides the name and email address of the person they want to invite to Workstorm, and Workstorm will send that person an email invitation with a link to create an account. The invited individual is an “Individual User” who can then create an “Individual User Account” directly with Workstorm, independent of any company or organizational affiliation. 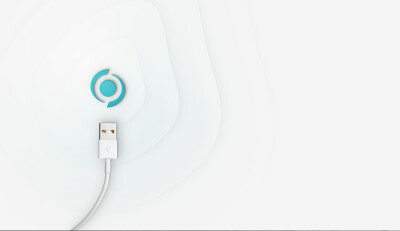 Individual Users have a relationship directly with Workstorm. If you are an Individual User in the EU or U.K., Workstorm is the data controller and can be contacted as explained below in the How to Contact Us section. If you use the Services as an Individual User to communicate or interact with an Enterprise User, however, your Content may become Enterprise Data, owned by an Enterprise Customer and subject to that Enterprise Customer’s policies and procedures and to the rights afforded Enterprise Customers regarding access to Content. In addition, if you create an Individual User Account, and your employer becomes an Enterprise Customer at a later time, your Individual User Account may be converted to an Enterprise User Account associated with your employer, and all of your previous Content may become Enterprise Data under the ownership and control of your employer. What Information Does Workstorm Collect? Account Information. Account information includes contact information, such as your name and email address, username, work title, department, manager, and other information related to your work and/or the Enterprise Customer who provided your Enterprise User Account; physical address; phone number; payment information such as your credit card or other financial information; photos; and information about your occupation or education that you provided to complete your profile. We do not collect your password in clear text. Instead, your password is hashed and encrypted before transmission. Content. Content includes, but is not limited to, any messages you send, information you post, audio/video content you send to others, and files you share, or which are provided on your behalf. We also collect information about the Content you create (metadata), such as the time that particular Content was created, and from which session that Content was created. 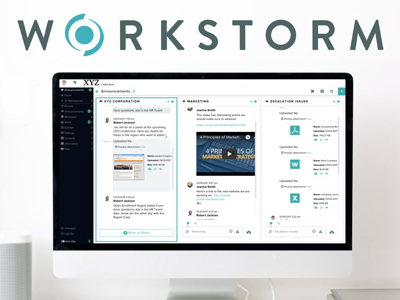 Although Workstorm collects the Content you create, that Content is Enterprise Data and is owned by the Enterprise Customer that provided you with your Enterprise User Account, and subject to the Enterprise Customer’s policies and procedures. As explained above, Content created by Individual Users while communicating or interacting with an Enterprise User may become Enterprise Data, owned by an Enterprise Customer and subject to that Enterprise Customer’s policies and procedures. Connections. We also collect information about the people and groups you are connected to, such as teams you’ve joined or created and people you’ve directly messaged. Survey Responses. You and others may conduct surveys through the Services. We collect responses from all survey participants and provide anonymized, aggregated survey results (from all respondents) to the survey creator. Usage. We may collect information about the devices you use to interact with our Services. This includes your web browser type and version, IP address, mobile device identifier, information you access (e.g., to distinguish between read and unread messages), the date and time of usage, language, and browsing information. We may also automatically collect information about how you use our Site. This helps us improve the Services and can help enhance the security of your account. Cookies. Workstorm may place pieces of code, commonly referred to as “cookies”, pixel tags, or similar technology on your devices. These are used to, among other things, manage sessions so that you don’t have to log in each time you visit the Services; collect information about how and when you use the Services; and collect information about the devices you use to access the Services. Subject to applicable laws, we may begin collecting information as soon as you visit our Site. Many Internet browsers and mobile devices allow you to block the transmission of certain information or block the installation of cookies. You may choose to enable these options. However, enabling these options may prevent you from using many of the core features and functions available on our Site and Services. Third Party Cookies and Analytics. Workstorm may use third-party cookies to collect analytics about how you use the public-facing Workstorm website (pages and content accessible when not logged in to a user account). Workstorm uses third parties like Google Analytics for public-facing website analytics. You may opt-out of Google Analytics on its website. Please visit https://tools.google.com/dlpage/gaoptout/ for additional information. How Does Workstorm Use My Information? We also access and use your information and Content to conduct data and system analytics, including research to improve the Services. When performing such research, however, we will not examine the Content of messages sent from you to anyone, or to you by anyone, using our messaging features. We conduct research to develop new tools, products, and services for all users and to improve the functioning of our Services. As set forth above, when you have an Enterprise User Account, the Enterprise Customer that provided your Enterprise User Account may control or access your account, as well as other data and/or Content. The Enterprise Customer may do so by naming one or more individuals who are designated to oversee use of the Services (“Administrator(s)”), who shall by designation have the same rights to your account, data, and Content as the Enterprise Customer. When Will Workstorm Disclose My Information? As directed by your Enterprise Customer. If you are an Enterprise User and we are asked to do so by the Enterprise Customer who provided your Enterprise User Account, we will disclose information on its behalf. To Third-Party Sites. We may disclose information to Third-Party Sites that you or the Enterprise Customer who provided your Enterprise User Account connect to the Services. To the Enterprise Customer who provided you with your Enterprise User Account. We may disclose information to the Enterprise Customer, network administrators, and other users authorized by the Enterprise Customer to access the requested information. To new Enterprise Customers. If you create an Individual User Account, and your employer becomes an Enterprise Customer at a later time, your Individual User Account may be converted to an Enterprise User Account associated with your employer, and all of your previous Content may become Enterprise Data under the ownership and control of your employer. To Others Working for and on Behalf of Workstorm. We may provide access to, or share your information with, third-party service providers contracted by Workstorm to assist in providing the Services (e.g., a web hosting service provider or payment processing provider). We may also need to provide a third-party service provider access to information to support auditing, compliance, and corporate governance functions. These third parties have no independent rights related to the information and cannot use it for any purpose other than on behalf, and at the direction, of Workstorm. To Workstorm entities. We may disclose information to companies under Workstorm’s common control, including, but not limited to, affiliates and subsidiaries. Inclusion in Aggregate Statistics. Workstorm may perform statistical research about usage of the Services to better improve and provide the Services (e.g., to determine how many messages are sent in total per day on its system, or by device type). Legal Process. If we receive a subpoena, warrant, discovery request, or other request or order from a law enforcement agency, court, governmental entity, or litigant seeking data from an Enterprise User or Individual User, we will provide the requesting party contact information for you or the Enterprise Customer who provided your account, and direct the requesting party to make the request directly to you or the appropriate Enterprise Customer. If we are legally compelled to produce information, we will, unless legally prohibited, use reasonable efforts to notify you or the appropriate Enterprise Customer, so that the Enterprise Customer can notify you pursuant to its policies and as permitted by law. Prevent fraud against us and others. How Does Workstorm Protect My Information? Workstorm has implemented an information security program that contains administrative, technical and physical controls that are designed to reasonably safeguard information that can individually identify you. Workstorm undergoes routine audits to ensure its compliance with those programs. Are my chats or messages shared with my employer? The messaging, chat, file sharing, or other collaborative features in Workstorm are similar for privacy purposes to email. Whenever an Enterprise User is a party to a communication (whether it is a message, file shared, etc. ), access to the communication shall be governed by the policies and procedures of the Enterprise Customer who provided the Enterprise User Account, just as it would be if you sent an email to that Enterprise User’s employer-provided email address. How do account closures work? Enterprise Users: We maintain Enterprise User Accounts on behalf of the Enterprise Customer that provided them. If you would like to stop using your Enterprise User Account, contact the Enterprise Customer who provided it. In addition, Enterprise Customers may close Enterprise User Accounts for any reason, including after an Enterprise User is no longer employed by the Enterprise Customer or if the Enterprise Customer terminates its relationship with Workstorm. If your account is closed, Workstorm may delete it as directed by the Enterprise Customer that issued it, or at Workstorm’s discretion, subject to applicable law. Your Content is owned by the Enterprise Customer that issued your account and may remain with Workstorm even if the Enterprise Customer suspends or closes your Enterprise User Account. If you wish to delete personal information stored with Workstorm, you must contact the Administrator of the Enterprise Customer that provided your account. We will respond to requests made by the Enterprise Customer when submitted by an authorized representative and subject to applicable law. Individual Users: You may contact Workstorm at support@workstorm.com to close your account. If your account is closed, it may be deleted. Content you created while using Workstorm will remain available to the other Workstorm users with whom you communicated and, if you communicated with an Enterprise User, your Content may be retained by the Enterprise Customer who provided that Enterprise User Account. Users will no longer be able to search for and find your account, however, and we will cease contacting you. Does Workstorm Track My Activity On Other Sites? Workstorm does not collect personal information about your online activities over time across third-party websites or online services. Therefore, “do not track” signals transmitted from web browsers do not apply to our site, and we do not alter any of our data collection and use practices upon receipt of such a signal. In limited circumstances, where Workstorm provides its Services directly in conjunction with a third-party service and where we need to track your activity with respect to such a service (e.g., if the Enterprise Customer wants to integrate Workstorm with a third-party service), we will do so only to enable Workstorm’s Services. Some of the Services may contain links to third-party content (e.g., if a user in your organization posts a hyperlink in a chat conversation) that is neither maintained nor controlled by Workstorm. We are not responsible for the privacy policies or practices of such third parties, and we recommend that you consult their privacy policies for more information. If we are involved in a substantial corporate transaction, such as merger, consolidation, restructuring, or sale of our assets, sale of our Services, or in the unlikely event of bankruptcy or insolvency, your information may be transferred as part of that transaction. If you are an Individual User, Workstorm will retain your information as needed to provide you access to the Services. If you are an Enterprise User, Enterprise Data associated with your Enterprise User Account is the property of the Enterprise Customer, who controls the retention period for such information. The Site and Services are subject to United States law, unless otherwise provided herein. By using the Site or Services or providing us with your personal information, you are directly transferring your personal information to the United States, where it is hosted on Amazon Web Services. Amazon Web Services is certified to the EU-U.S. Privacy Shield, which ensures that the transfer of your personal data from the EU to the U.S. is lawful. How Does Workstorm Protect the Privacy of Children? Workstorm is a general audience site not directed at children under the age of 16. If we obtain actual knowledge that any information we collect has been provided by a child under the age of 16, we will promptly delete that information. If you believe Workstorm has personal information about anyone under the age of 16, please contact us at privacy@workstorm.com. Pursuant to California Civil Code Section 1798.83©(2), Workstorm does not share your personal information with third parties for those third parties’ direct marketing use. Your Rights in the EU and U.K. If you are located in the EU or the U.K., you are a “data subject” with certain rights related to your personal data. If you are an Individual User, please contact us at privacy@workstorm.com. If you are an Enterprise User, please contact your Enterprise Customer who provided you with your Enterprise User Account. When we act as a data controller in providing Services to Individual Users, will rely on the following legal bases for processing personal data, depending on the purpose of such processing. An Individual User consents to processing: We will obtain an Individual User’s consent before using or sharing data for surveys or providing you promotional materials. If you consent to our use of your personal data for any purpose, you have the right to withdraw consent at any time by contacting us, as explained below. Processing is necessary to perform a contract: We need to process your personal data in order to deliver the services that you have requested. Processing is necessary for compliance with a legal obligation: We will process your personal data when necessary to comply with obligations we have under EU or EU Member State law. If we intend to use personal data that we have collected for a different purpose than was described to you, we will provide you with information about this secondary purpose and any additional information necessary to ensure fair and transparent processing, before we engage in further processing. Right of access: You have the right to obtain confirmation as to whether we are processing personal data about you, and if so, request a copy of the personal data. Right to correction: You have the right to correct any inaccuracies in the personal data we hold about you and, where applicable, complete any incomplete personal data that we hold. Right to erasure: You have the right to request that we erase the personal data that we hold about you, if one of the conditions in Article 17 of the GDPR applies. Right to restriction of processing: You have the right to restrict our processing of your personal data, if one of the conditions in Article 18 of the GDPR applies. Right to data portability: You have the right to receive personal data concerning you in a structured, common and machine-readable format or request transmission of the data to a third party, if the conditions in Article 20 of the GDPR are met. Right to object: You have the right to object to processing of your personal data based on our legitimate interests at any time. We will no longer process the data, unless there are compelling legitimate grounds for our processing that override the interests, rights and freedoms of the data subject, or the processing serves the purpose of asserting, exercising or defending legal claims. Right to withdraw consent: If we are processing your personal data based on your consent, you have the right to withdraw your consent at any time. Under Article 77 of the GDPR, if you are located in the EU or the U.K., you have the right to lodge a complaint with a supervisory authority if you believe that the processing of your personal data infringes your rights under the GDPR. The right to lodge a complaint may be invoked in the EU Member State in which you reside, in which you work or where the alleged infringement occurred. How Can I Contact Workstorm?